From 1925 to the Iranian Revolution in 1979, Iran was mostly equipped with Western hardware. Cases exist where Iran was supplied with equipment even before it was made standard in the countries that developed it (for example the US F-14 Tomcat, or the British Chieftain Tank). Primary suppliers included the United States, Britain, France, the Federal Republic of Germany (West Germany), Italy, Israel, and the Soviet Union. The Iran–Iraq War, and post revolutionary sanctions at the time had a dramatic effect on Iran's inventory of western equipment. Under the pressures of war all supplies were quickly exhausted and replacements became increasingly difficult to come by. The war eventually forced Iran to turn towards the Soviet Union, North Korea, Brazil, and China to meet its short term military requirements. Initial developments in every field of military technology were carried out with the technical support of Russia, China, and North Korea to lay the foundations for future industries. Iranian reliance on these countries has rapidly decreased over the last decade in most sectors where Iran sought to gain total independence; however, in some sectors such as the Aerospace sector and missile technology Iran is still greatly reliant on external help. Iran has developed the capacity to reverse engineer existing foreign hardware, adapt it to its own requirements and then manufacture the finished product. Examples of this are the Boragh and the IAMI Azarakhsh. In an attempt to make its military industries more sustainable Iran has also sought to export its military products. This page includes weapons used by both Iranian army and Revolutionary Guards ground forces. PC-9 ZOAF Semi-automatic pistol Iran 9 mm pistol, unlicensed local production variant of the Swiss SIG Sauer P226. M1911A1 Semi-automatic pistol United States .45 ACP pistol. Shaher Anti-material rifle Iran Iranian 14.5 mm anti material rifle. S.5'56 Assault rifle Iran Copy of the Norinco CQ. In service with Saberin unit. Arash Anti-material rifle Iran Iranian 20 mm bullpup anti material rifle. KH-2002 Assault rifle Iran Iranian designed 5.56×45mm bullpup rifle. Limited service. Fateh Assalt rifle Iran Iranian 5.56x45mm clone of American XCR-L and FN SCAR . KL-7.62 Assault rifle Iran Iranian copy of the Chinese Type 56 and AKM. Possibly produced under license. IRGC main service rifle. Akhgar Heavy machine gun Iran Locally produced 7.62 mm 6-barrelled rotary machine gun. Muharram Heavy machine gun Iran Locally produced 12.7 mm 6-barrelled rotary machine gun. Nasir automatic grenade launcher Iran 40mm automatic grenade launcher. Type 69 RPG China Chinese copy of Russian RPG-7. Saegheh Iran Improved version of the RPG-7. Toophan Anti-tank guided missile + Iran Reverse engineered version of early BGM-71A TOW missile. Toophan 2/2B Anti-tank guided missile + Iran Reverse engineered US BGM-71C TOW. Toophan 5 Anti-tank/Anti-helicopter guided missile + Iran Upgraded BGM-71C TOW with laser beam riding guidance system. Saeghe 1/2 Anti-tank guided missile + Iran Reverse engineered M47 Dragon. 9K11 Malyutka/Raad Anti-tank guided missile + USSR/Iran Manufactured in Iran under the name Raad. 9M113 Konkurs Anti-tank guided missile + USSR/Iran Built as Towsan-1 or M-113 in Iran. 9K115-2 Metis-M Anti-tank guided missile + Russia/Iran Produced under license from Russia. MILAN Anti-tank guided missile + France Captured during the Iran-Iraq War. Probably no longer in service. Dehlavie Anti-tank guided missile + Iran Iranian copy of Kornet. Sarir Armored personnel carrier + IRGC only. BTR-60 Amphibious Armored personnel carrier 250 1966 KPVT 14.5 mm machine gun replaced with DShKM 12.7 mm machine gun or ZSU-23 gun on some vehicles. ATGM launchers added to some vehicles. BMP-2 Infantry fighting vehicle 400 1991–2001 1,500 ordered in 1991 from Russia and 413 were delivered between 1993 and 2001 of which 82 were delivered directly by Russia and 331 were assembled in Iran. 100 were in service in 1995, 140 in 2000 and 400 in 2002, 2005 and 2008. 400 are currently in service. Some sources claim that production is ongoing. M60 Patton Main Battle Tank 150 Some sources claim ~150 M60. Locally modernized as the Samsam. T-72S Main Battle Tank 480 1994–1999 Iran produced 422 T-72S tanks under licence from Russia from 1993-2001, received 104 T-72M1 tanks from Poland from 1994-1995 and 37 T-72M1 tanks from Belarus starting in 2000. Possible unlicensed production. M1954/Type 59-1 130mm howitzer 985 USSR/China In 2002, Iran had 1,100 M-46 in conditional use. By 2012 this number has dropped to 985. G-5 155mm howitzer 50 South Africa In 1990, Iran had 50 G-5. Howerver, there is no current information on the condition of these howitzer. M-109 155mm self-propelled howitzer 180 United States Remanufactured locally as the Hoveyzeh. 122mm Hadid/Azrash/Nur 122mm MRLS 55 1994 Iran Domestic BM-21 developments? This refers to ballistic missiles and not battlefield systems. Iran's missile forces are under the command of the Revolutionary Guards, under the army's authority. Additional information is available at Air Force of the Army of the Guardians of the Islamic Revolution who operate Iran's long-range missiles. Iran was reported to have purchased 18 mobile 3,200-4,000 km Musudan missiles (the extended range version of Soviet R-27 Zyb) in 2005. 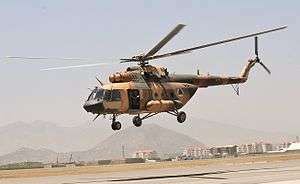 The Islamic Republic of Iran Army Aviation (IRIAA) is the air arm of the Islamic Republic of Iran Army. It is not known how much of this inventory is actually operational. Hamaseh UCAV + Iran A medium-range drone, capable of carrying air to ground missiles. ↑ "Iranian Pistols". Retrieved 13 November 2014. ↑ Hogg, Ian (1989). Jane's Infantry Weapons 1989-90, 15th Edition. Jane's Information Group. pp. 826–836. ISBN 0-7106-0889-6. ↑ Jones, Richard (2009). Jane's Infantry Weapons 2009-2010. Jane's Information Group. p. 897. ISBN 0-7106-2869-2. ↑ "Report: Profiling the Small Arms Industry - World Policy Institute - Research Project - World Policy Institute". Retrieved 13 November 2014. ↑ Miller, David (2001). The Illustrated Directory of 20th Century Guns. Salamander Books Ltd. ISBN 1-84065-245-4. ↑ Jones, Richard (2009). Jane's Infantry Weapons 2009–2010. Jane's Information Group. p. 897. ISBN 0-7106-2869-2. ↑ Thomas Harding, Defence Correspondent (13 February 2007). "Iraqi insurgents using Austrian rifles from Iran". Telegraph.co.uk. Retrieved 13 November 2014. ↑ "Modern Firearms". Retrieved 13 November 2014. ↑ "Iran's New Arash 20mm Shoulder Fired Anti-Material Rifle (With Barrett BORS Clone) - The Firearm Blog". The Firearm Blog. Retrieved 13 November 2014. 1 2 Archived November 30, 2005, at the Wayback Machine. ↑ "Iran's RPG Surprise". Defense Industry Daily. 23 December 2005. Retrieved 13 November 2014. ↑ "Saghegh". Retrieved 13 November 2014. ↑ "Weapon". Retrieved 13 November 2014. ↑ "عکس خبری / افتتاح خط تولید و تحویل انبوه سامانه ضدزره دهلاویه". خبرگزاری مهر. Retrieved 13 November 2014. 1 2 3 4 5 6 John Pike (2009-02-13). "Iranian Ground Forces Equipment". Globalsecurity.org. Retrieved 2010-02-07. ↑ "SIPRI Arms Transfers Database". Retrieved 13 November 2014. ↑ "22 September 2004: Parade in Tehran". Acig.org. Retrieved 2010-02-07. 1 2 "Iran Iranian Army Military vehicle armoured Equipment - Equipements militaires blindés armée Iran Iranienne". army recognition. 2009-02-13. Retrieved 2012-01-15. ↑ "Trade Registers". Retrieved 13 November 2014. ↑ "آغاز توليد انبوه انواع خودروي تاكتيكي سفير در وزارت دفاع - سازمان خبری خبر خودرو". Retrieved 13 November 2014. ↑ "Safir Jeep Mass Production". YouTube. Retrieved 13 November 2014. ↑ "جنگ افزارها - خودروی سبك سمندر ساخت ایران". Retrieved 13 November 2014. ↑ "خودرو ملی xxxملی ..سمندر". آپارات. Retrieved 13 November 2014. ↑ "با حضور سردار نجار؛ خودرو تاكتيكي 3‌ چهارم تن در وزارت دفاع رونمايي شد". Retrieved 13 November 2014. ↑ "Iran builds tactical jeep". YouTube. Retrieved 13 November 2014. 1 2 "گزارش تصویری/ رونمایی از شش دستاورد صنایع دفاعی کشور". خبرگزاری مهر. Retrieved 13 November 2014. 1 2 "با حضور محمود احمدی‌نژاد صورت گرفت رونمایی از ۶ دستاورد بزرگ دفاعی ایران/ نقطه‌زنی موشک فاتح در هر شرایط آب‌و‌هوایی". Retrieved 13 November 2014. ↑ "Uskowi on Iran - اسکویی در باره ایران: Sacred Defense Parades 2011 - Vehicles & Heavy Weapons". Retrieved 13 November 2014. 1 2 "Uskowi on Iran - اسکویی در باره ایران: Iran Military Day 2013 (2)". Retrieved 13 November 2014. ↑ "Iran acquires ballistic missiles from DPRK, 29 December 2005". Janes Defence Weekly. Archived from the original on October 22, 2006. Retrieved 12 November 2007. 1 2 John Pike. "Kosar / Nasr". Retrieved 13 November 2014. ↑ Defense Update. "Iranian DIsplays Advanced Ballistic Missiles, Air Defense Systems & Anti-Ship Missiles on Army Day Parade". Retrieved 13 November 2014. ↑ Tamir Eshel. "Iran Introduces the Qader, an Enhanced, Locally Produced Version of the C-802 Anti-Ship Missile". Retrieved 13 November 2014. ↑ News Desk. "Iranian Ballistic Missile Scores a Direct Hit on a Target Ship". Retrieved 13 November 2014. ↑ "Defence & Security Intelligence & Analysis - IHS Jane's 360". Retrieved 13 November 2014. ↑ "Iran Starts Large-Scale Production of Zafar Short-Range Antiship Cruise Missiles". Retrieved 13 November 2014. ↑ John Pike. "Mushak-200 / Zelzal-2". Retrieved 13 November 2014. ↑ "Fateh A-110". MissileThreat. Retrieved 2013-05-30. ↑ "Iran Air Force". globalsecurity. Retrieved 24 November 2014. ↑ John Pike. "Iranian Ground Forces Equipment". Globalsecurity.org. Retrieved 2012-05-25. ↑ "Iran Unveils New Karar Bomber Drone". Retrieved 13 November 2014. ↑ John Pike. "Ababil (Swallow) Unmanned Air Vehicle". Retrieved 13 November 2014. 1 2 "Remote control war: Unmanned combat air vehicles in China, India, Iran, Israel, Russia and Turkey". Retrieved 13 November 2014.